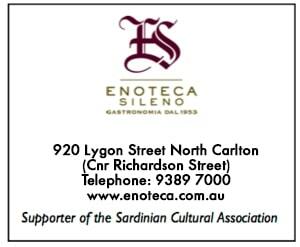 Enoteca Sileno is Australia’s oldest and most respected importer, distributor and wholesaler of authentic, artisan, Italian food and wine products. Paul’s Butchery provides its traditional European and Australian style cuts of quality meats. With a wide range of quality local and Australian produce, including; beef, pork, lamb and poultry. Pomodoro Sardo is a modern Italian Sardinian cooking with a focus on superb ingredients, impeccably sourced and handled with care and simplicity. Twelvebottles is an importer and wholesale distributor of fine wines from Australia, New Zealand and Italy.